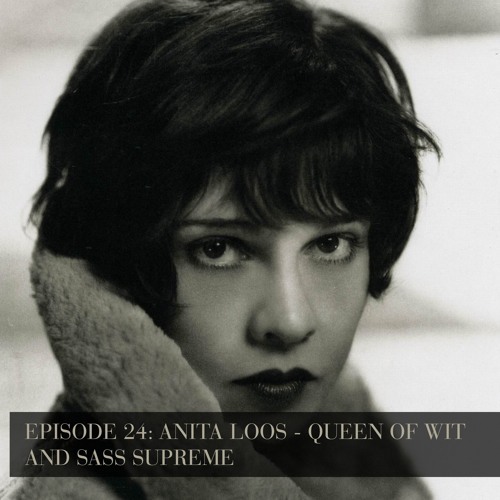 In episode 24, we discuss the darling of the silent intertitle, mother of sass mouth dames in early talking pictures, raconteur, and all round solid gold good guy, Anita Loos. We discuss selections of her witty writing on her experience working in Hollywood during the golden era. Stories from Kiss Hollywood Goodbye (1974), Fate Keeps on Happening (1984), Gentlemen Prefer Blondes (1925) and A Girl Like I (1966). We also discuss two of her finest scriptwriting examples in Blondie of the Follies (1932) and The Girl From Missouri (1934). This is our final episode, thanks to all our listeners, we hope you enjoyed the series as much as we did. Sources: Beauchamp, C. and Loos, M.A., Eds. (2003) Anita Loos Rediscovered: Film Treatments and Fiction by Anita Loos. Berkeley: University of California Press. Beauchamp, C. (1997) Without Lying Down: Frances Marion and the Powerful Women of Early Hollywood Berkeley: University of California Press. Blondie of the Follies (1932) Dir. Edmund Goulding [DVD] MGM. Carey, G. (1988) Anita Loos: A Biography London: Bloomsbury. Loos, A. (1925) Gentlemen Prefer Blondes (1992) London: Penguin. Loos, A. (1966) A Girl Like I New York: Viking. Loos, A. (1974) Kiss Hollywood Goodbye London: W.H Allen. Loos, A. (1977) Cast of Thousands New York: Grosset &amp; Dunlap. Loos, A. (1984) Fate Keeps on Happening: Adventures of Lorelei Lee and Other Writings. London: Harrap. Red-Headed Woman (1932) Dir. Jack Conway [DVD] MGM. The Girl from Missouri (1934) Dir. Jack Conway [DVD] MGM.